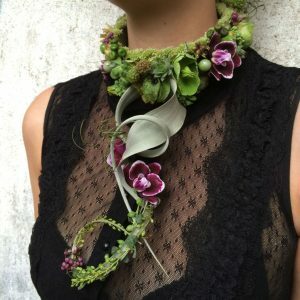 Françoise Weeks is a European floral designer specializing in botanical couture and woodlands design. She creates exquisite wearable art and centerpieces for editorial shoots, weddings, fashion shows and for her workshops teaching florists to expand their design eyes and offerings. Check out her Gallery. Françoise is special and has been doing this for over 30 years – the OG of floral design! She has impressive social media followings, yet she was stuck in how to get current in her marketing efforts. We did a whole brand positioning for her, crafted messaging for her website and social media, and created new Blog features and a revamped newsletter campaign.